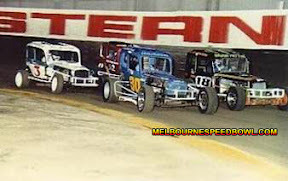 with captions including drivers names, your continued support is greatly appreciated. 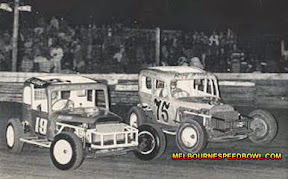 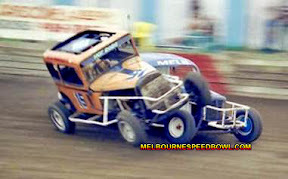 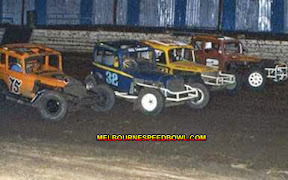 riding over the front wheel of Adrian King #31 Four abreast, some real talent in this photo. 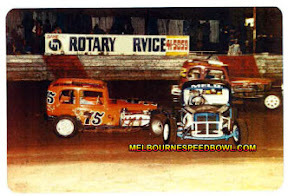 Col Watt #7 frightening the track marshals again Tony Koolen #1 and Col Watt #7 (Nyora boys) going the wrong way! 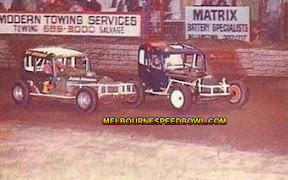 Stan Marco Snr #2 trying hard to chase them down. 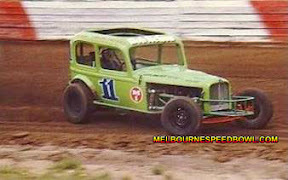 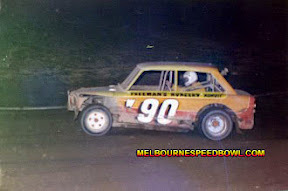 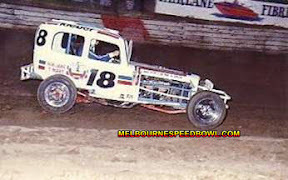 Jim Duggan Vic 1 pilots "Hopalong" under Trevor Martin Brian Patton #18 "Swerva"
Driver unknown but note the flowerpot hanging out the back window! 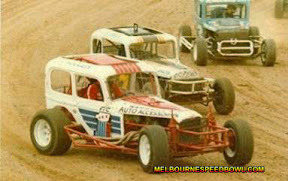 Edit "I think this is David Morse", could anybody please confirm this. 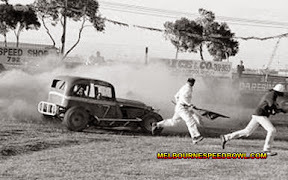 #75 Ray Welsh helps #31 Adrian King park "MisAdventure".